But this is no ordinary townhouse—it is beyond genteel, well-bred, breathtakingly beautiful and immaculately kept. Didier Le Calvez, one of the great hoteliers in the world, is the virtuoso general manager in charge here with a gentle, knowing hand. 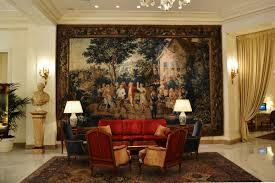 The story of this iconic hotel is a wonderful and lasting one which has been told with passion over nine decades. The Bristol best illustrates the “art de vivre à la française” and gracefully taking hotelkeeping to the very height of refinement and quality. 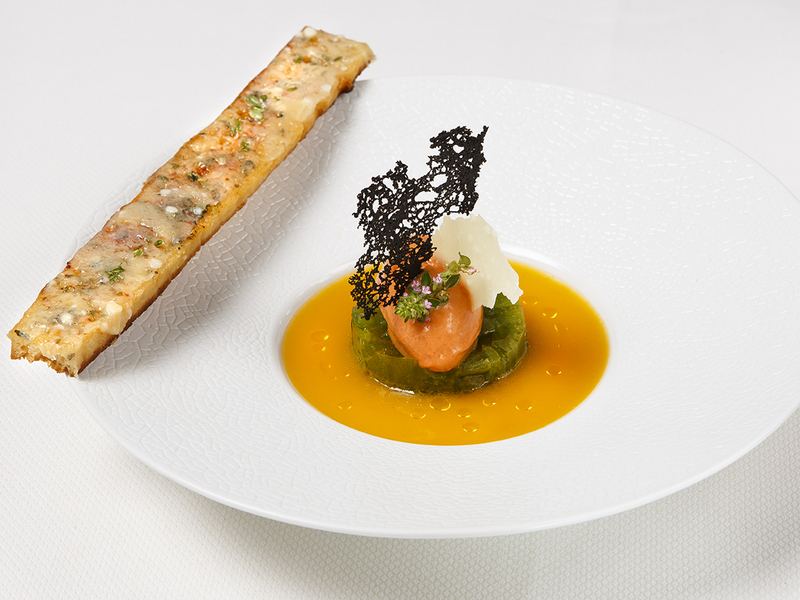 More than a majestic layout of the noblest materials, marbles and precious paneling, original works of art, fabrics from the finest crafts, and the most refined gastronomy under the guidance of the talented three Michelin star Chef Eric Frechon, Le Bristol is first and foremost a house where people take precedence. The magnificent building, a masterpiece of the Oetker Collection, is rich due to more than 550 devoted and passionate employees: apprentices, chefs, commis, florists, housekeepers all are specialists in their field who put all their all, hearts and souls to continue writing the pages of this wonderful Parisian palace. So many talented employees have such a strong attachment to the Hotel, which has led them to work at Le Bristol Paris for over 10 or even 20 years. Those men and women (from over seventy-four different nationalities), perpetuate and enrich a unique luxury know-how when it comes to service and always perfect the execution of even the simplest of tasks. With devotion, passion and excellence, they contribute with pride to positioning this fabulous hotel into a myth. 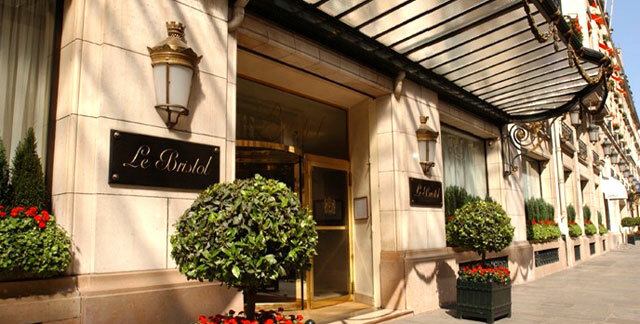 Le Bristol Paris is located 112 rue du Faubourg Saint-Honoré. 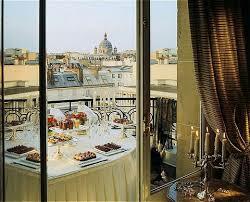 Created in the grand Parisian style, guests immediately feel at home here. 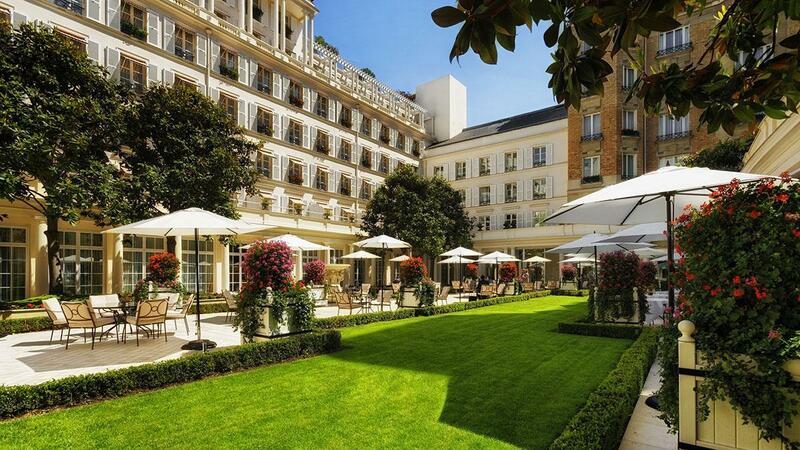 Yet a home unlike any other: Le Bristol was the first hotel in France to receive the title of Palace. Behind the precious fabrics, works of art and splendid Louis XV and Louis XVI furniture, you will find a harmonious retreat with a unique atmosphere. Take the magnificent wrought-iron elevator and cross the plush corridors to discover exceptional rooms and suites, whose luxurious size is revealed at first glance. Spacious and chic, rooms display a multitude of refined details, from the entranceway to the bathroom. Our heavenly room was filled with masses of fresh flowers and decorated with antique prints, Louis XV and Louis XVI furniture, Canovas fabrics and enjoyed a view of the hotel’s stunning French gardens. We rendezvoused with friends at Le Jardin Francais, a more relaxed and spontaneous side of Paris life where we enjoyed casual and elegant refreshments day and night. We happily dined by frescoed walls, beneath crystal chandeliers or in the peaceful courtyard garden. The musical atmosphere transforms with the time of day. To get our minds off calories, we headed to Spa Le Bristol by La Prairie where experts in beauty, relaxation and well being helped us relinquish all the cares of the world. The hands of highly trained experts in this place of perfect peace where everything is for you had us floating in the clouds. Our treatment began with the eucalyptus steam room, to relax and soothe limbs in preparation for therapy and are concluded with a ginger, lemon and honey infusion for a final boost to the immune system, so we left feeling both serene and revitalized. Then we dove into the pool: it overlooks the Eiffel Tower, Montmartre and le Sacré-Coeur. Surrounded by glass and awash with light this is a pool of elegant magic. In the evening the sun dips, lights shimmer to life and the swimmer is immersed in the scintillating beauty of the city. In summer months guests can recline on a little balcony fragrant with rosemary, overlooking the majestic Parisian rooftops. The pool evokes the prow of a yacht, with teak decking, and a mural gives a view over blue sea to the pine and olive scattered Côte d’Azur. The fitness centre is located on the first floor. There is a welcoming steam room adjacent to the pool, in the changing area.